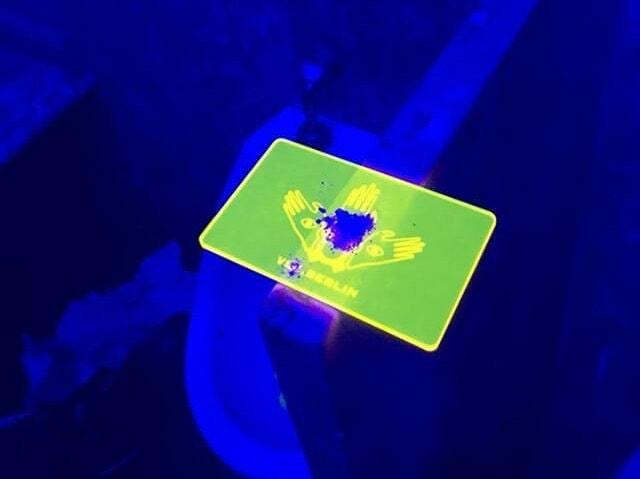 By popular demand, we are now offering our Neon Logo club cards that are often seen in the toilets and backrooms of Berliner nightlife. 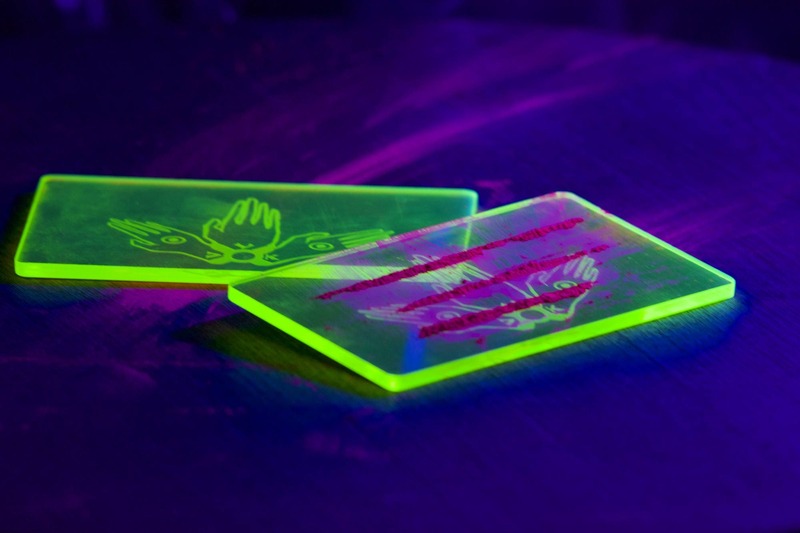 These cards are made from 3mm thick fluorescent acrylic and are strong and durable. 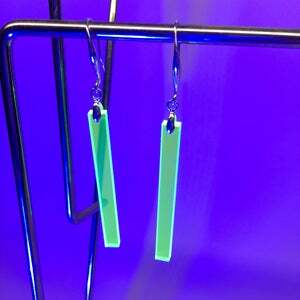 They are 6cm by 10cm, which is the same usable surface area as an iPhone 5 and glow strongly in blue or UV light. Cooler Hingucker, schöne Farbe, praktische Größe, gut verarbeitet. Danke! Conveniently fits in wallet and is perfect material to put your medicine on to sniff leaving no residue.